If you are in financial distress and cannot pay your debts in installments over time, you may file a chapter 7 provided you satisfy a "means test". This means test determines whether the case will be permitted. Once you file a chapter 7 bankruptcy, an “automatic stay” will automatically be put in place. It will stop most lawsuits, repossessions, foreclosures, garnishments, utility shut-offs, and debt collection harassment. When you file a chapter 7, certain property you own will be deemed “exempt”, and you will be able to keep that property. Other property you own will be deemed “non-exempt”, and that property may be required to be sold to pay your creditors. Under chapter 7, debts existing as of the date you file are extinguished. However, even if you receive a general discharge of your debts, some debts cannot be discharged. You may be responsible to pay for most taxes and student loans, debts incurred to pay non dischargeable taxes, domestic support and property settlement obligations, most fines, penalties, forfeitures, and criminal restitution obligations, and certain other debts. The court filing fee for chapter 7 is currently $335.00. Attorney fees and costs are in addition to the filing fee. The law office of Hitchcock and Associates has extensive experience offering bankruptcy assistance to both individuals and small businesses in Chicago, IL, Joliet, and the surrounding areas. You can get the representation you need from Chapter 13 and Chapter 7 bankruptcy lawyers who are committed to helping you attain lasting debt freedom. PAID ATTORNEY ADVERTISEMENT: This website is an advertisement. The attorney responsible for the content of this site is Thomas R. Hitchcock, Esq., licensed in Illinois with offices at 53 West Jackson Blvd. Suite 724, Chicago, Illinois 60604 . This website is not a lawyer referral service or prepaid legal services plan. The information contained in this website is not legal advice. 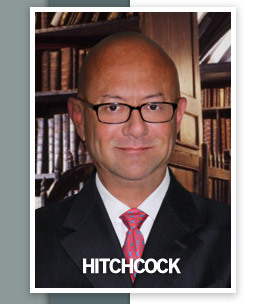 Any information you submit to Hitchcock & Associates, P.C. may not be protected by attorney-client privilege. By an Act of Congress and the President of the United States, Hitchcock & Associates, P.C. is a federal Debt Relief Agency.